In fact, the title was originally taken from Wei Anli 's "sigh of joy, grief, grief and happiness". However, after thinking, Xiao Bian and the magistrates stood in the perspective of the commercial vehicle industry and the truck industry. We only want to advocate ideas that are beneficial to the entire industry. The view of Hele is even more worth reporting and proposing. Therefore, Wei Anli's "joy and happiness" is only available. In this case, Xiao Bian only reverted to the â€œ Priority Survey for Industrial Readiness in the Central Media State IV â€ on August 28, 2013. It entered the Suzhou Industrial Park Da Fei Te Filter Technology Co., Ltd. and came from Chinaâ€™s internal combustion engine industry. Wei Anli, deputy secretary-general of the association, made a remark about the country. 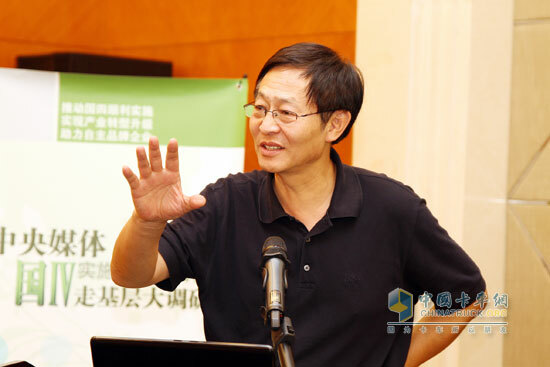 Wei Anli said: The countryâ€™s overall implementation of the four national standards has not yet come to an end. Even such an uncertain market environment still has a number of companies working hard for the development of the country. 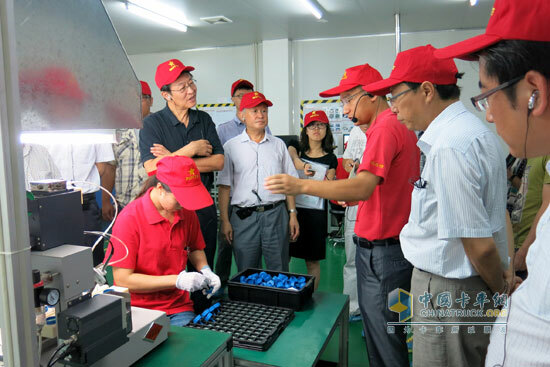 For example, a large number of enterprises such as the National Standard Four Key Materials Vehicle Urea Producer Sichuan Meifeng Jialan Environmental Protection Technology Co., Ltd. and Guotai Standard Filtration System R&D Unit Daphite Filter Technology Co., Ltd. These are all Chinese self-owned brand enterprises, and they are aiming for the transformation of the industry on the basis of adhering to the Fourth National Government. They have a sense of crisis and have the determination and strength to challenge themselves. Such companies are a welcome phenomenon. The support of the policy has played a huge role in promoting the implementation of the National IV standard. At present, there have been many local governments and central departments insisting on implementing the National IV standard on July 1. This shows that governments at all levels have seen the important influence of corporate industry on social development. At the same time, a large number of companies have also provided excellent products for this implementation result through their own continuous efforts. At present, the development of the automotive industry at home and abroad still focuses on advanced technology requirements. Promoting continuous advancement of technology is the constant demand for the development of the industry. For example, the visiting company, Daphite, was established in 2008 only for about 1,600 days. More than 90 employees rely on technical support, relying on modern management, and relying on the macro needs of the market to meet the needs of the past simply filtering impurities. Developed into a modern technology that works synergistically with fuel systems. One of the important significance of promoting the implementation of the National IV Standard is to promote China's auto industry forward. After Europe, the United States, Japan and South Korea and even the lagging behind of Brazil gradually implemented Euro IV emissions, China, which is the world's largest producer and consumer of internal combustion engines and cars, has yet to stay in the dilemma of delaying the implementation of the National IV standard. If the country cannot implement it, there will be no way to talk about industrial restructuring in the absence of local conditions. This result will only further widen the industrial gap between domestic and foreign companies. Wei Anli even believes that companies who had shouted at internal meetings to postpone the implementation of State IV were all unprepared enterprises. He pointed out that since the issuance of Ministry of Environmental Protection Document No. 92 in 2011, more than 600 days have passed and sufficient time is available for companies to prepare; in this case, companies still call for postponing the implementation of the slogan of National IV and even the media for the country. Deferring and applauding, it's no wonder that companies are so unrestrained that the industry is so short-sighted. In Wei Anliâ€™s short speeches, itâ€™s not hard to see that on the issue of State IV, regarding this controversial issue, the rumors of a senior person who has stood in the front line, stood at the height of the industry, and stood on the national road to energy-saving and emission reduction Vision, as stated, in the entire commercial vehicle industry, we should also see companies that strive to enhance independent innovation and strive to improve the level of manufacturing environmental protection for the country. It is with the joint efforts of these companies that we can implement the national IV. To lay a solid foundation, and tangled in the implementation time, tangled in the haste to cope with the voice will eventually be submerged in the main theme. 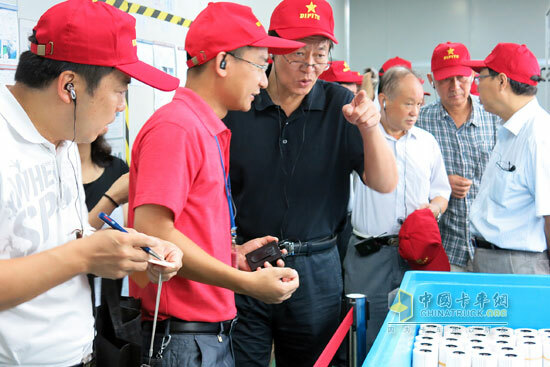 We should be more solid to our peers and introduce more advanced technology and implementation of many countries' advanced technologies to our customers.